I would imagine a surfer likes big waves that arrive frequently. The Sine Wave project explains the sine ratio as derived from a right triangle, the unit circle, and then how to graph the sine function in Scratch. The project allows the user to change the amplitude of the sine curve. Oh if it was only that easy for the surfer! A free pdf file for this project is available on request by sending an email to grandadscience@gmail.com. 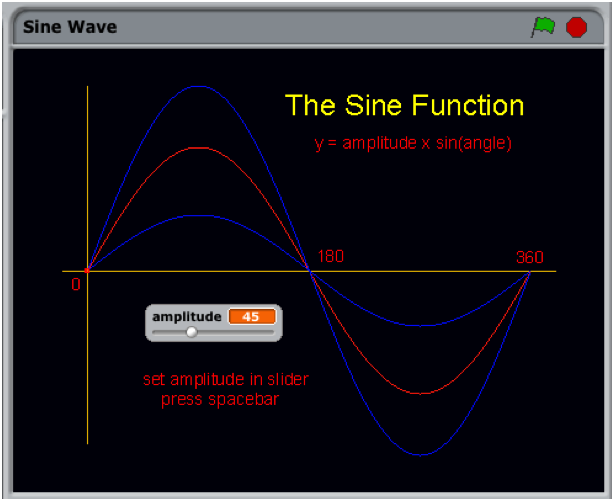 The next sine function project will allow the user to play with the frequency of the wave.